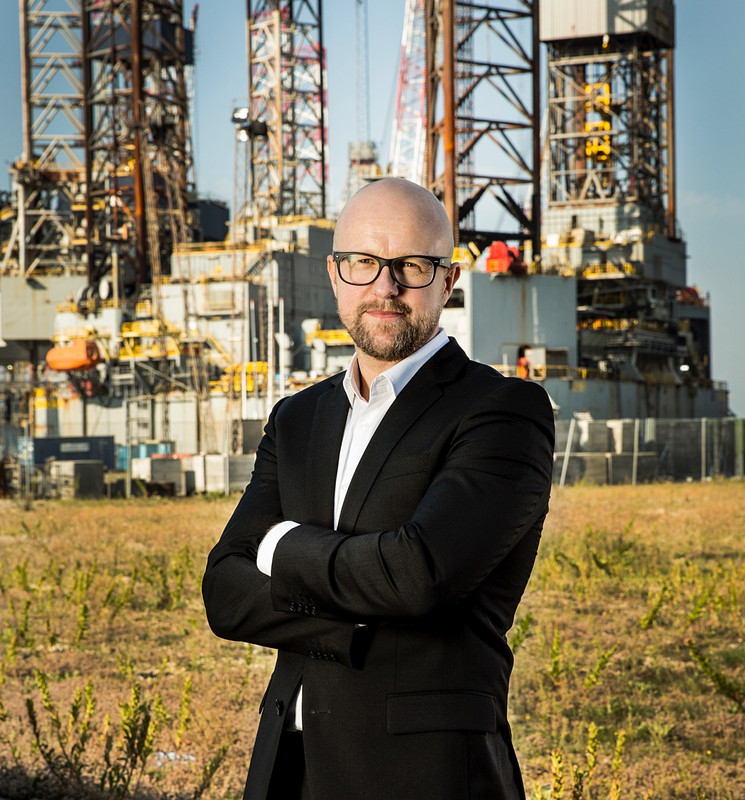 Optimising efficiency has contributed to black bottom lines, so although oil prices have recently dipped considerably, Esvagt and NorSea believe the future is bright. On 28 January 2016, a barrel of Brent Oil cost USD 28.79. That was the lowest level in 12 years. A couple of years before, the prices had nosedived and was now at rock bottom. "Jobs vanished into thin air and our turnover fell dramatically," says Jesper Høj-Hansen, CEO of NorSea as he describes the period of low oil prices. Peter Lytzen, CEO of Esvagt, believes that the market before oil prices collapsed was unnaturally high. "All pumps were running at full speed and then suddenly everything stopped. It was like a party followed by shell shock. And both were equally unhealthy," he says. Since those dramatic days, the price of oil has more than doubled. The price was recently up to USD 85 and although it has just taken a big knock, the level is still more than 100% higher than in 2016. Over the past two years, companies all over the industry have tried to find their sea legs. Today, both the CEOs are positive about the future. "I believe the future is bright even though we're not talking about explosive growth," says Jesper Høj-Hansen from NorSea. The Danish part of the international business was at around zero for 2016, but 2017 gave a double-digit deficit in millions of Danish kroner. On the other hand, 2018 looks as if it will generate a small plus. Peter Lytzen is also hopeful. "We are getting more and more to do, and feel that our customers are once again investing in anticipation of stable oil prices. So though I would prefer to see larger growth, it looks reasonable," he says. Peter Lytzen, CEO of Esvagt, believes that the market before oil prices collapsed was unnaturally high. Today, the future looks brighter, he says. According to the two CEOs, the falling oil prices have prompted a tough process that has been far from fun but may have benefitted the industry. "Now choices are made more on price whereas before it was accessibility. That has given a new focus," says Jesper Høj-Hansen. For NorSea, an offshore company with a good 200 employees in Denmark and Denmark's largest supply base, the falling oil prices had major consequences. Prices were under pressure, turnover had fallen and no new wells were being installed in the North Sea. The only assignments involved maintenance. That is still the situation but the company has been through a Lean programme with processes being optimised. Jesper Høj-Hansen's past with Danfoss has been used to digitise and automate. For example, the company's 26 lorries are now monitored as a proactive measure to highlight diesel consumption. In the area of safety, 20-page manuals with procedures for replacing a valve washer have been replaced with behavioural nudging and more training by colleagues. At the same time, economies of scale have been gained by being part of a large international group. "Now we are feeling a bit more positive. We don't expect a higher price for our goods, but there are many enquiries, and 176 wells are scheduled to be bored in Norway and these are among the first clear, positive effects of the higher oil prices," Jesper Høj-Hansen says. As he expects a continuing need for optimising efficiency, NorSea will continue with Lean and automation. Even though Total and Ineos are new operators, and billions of Danish kroner will be required to rebuild Tyra, that does not necessarily mean local operators will be lining their pockets. Tyra will increase the activity level in connection with preparing for dismantling the platform, with offshore service employees, crane operators etc. But when the platform is closed down, there will be less activity. "The number of tasks is currently balancing if you take a long-term view," Jesper Høj-Hansen says. Yet he is looking forward to working with the new players in the market. "They are taking a different approach and naturally, that creates a different dynamism. This more industrialised approach matches our new profile very well as we are making good headway with Lean and digitisation. I'm sitting here looking at our old headquarters covering 3,000 square metres, which will now be expanded to 6,500 square metres. We will rent out that extra space to offshore companies in an office landscape designed to encourage collaboration. Elsewhere in the industry, there are contracts lasting 10, 15, and 20 years but here you can get meeting rooms and office hotels on everything down to an hourly rate. We are creating an innovative environment," Jesper Høj-Hansen says. He is proud of the company's transformation. "It has been tough and we've had to say farewell to good colleagues, but we're now well on our way." CEO Jesper Høj-Hansen is proud of the transformation that NorSea has been through. When the market collapsed, Esvagt had to take a good hard look in the mirror. Efficiency was improved and operational costs were reduced by working smarter and with fewer resources. Is routine maintenance really necessary? Might it pay off to wait until things break down instead? Smart decisions were made. "Esvagt is now a neatly streamlined organisation adapted to suit the revenue-generating opportunities available in the market. There are no more low-hanging fruits to pick. It's hard to find more margins," Peter Lytzen says. The activity level in Denmark has been relatively stable throughout the entire period. 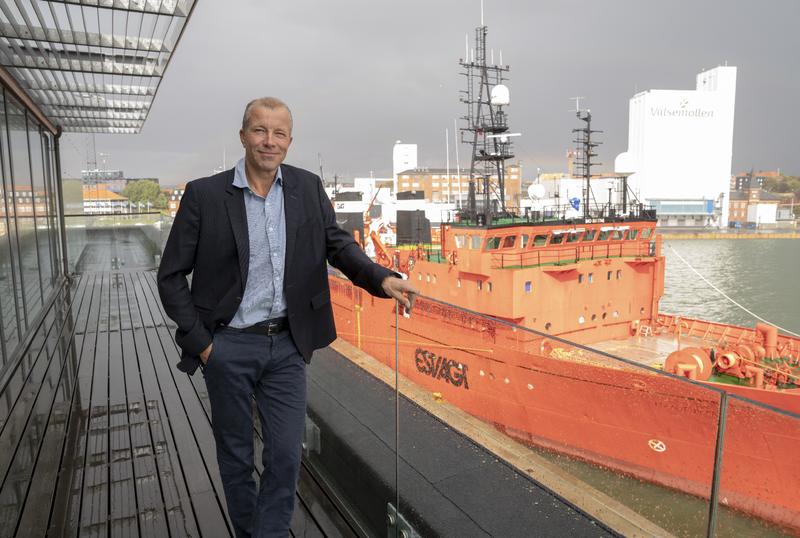 Esvagt only has six ships on contract in Denmark, so Esvagt is noticing the upswing mostly in the UK and Norway. Particularly in the northern fields. Peter Lytzen believes the market has found a level that once again sustains thinking in the long term. He therefore does not expect violently fluctuating oil prices or investments. "There is unlikely to be violent growth in the North Sea, which is our main market. But it looks reasonable and of course other areas are enjoying growth. Wind, for example, and that is looking very positive in Esbjerg," he says. Both Esvagt and NorSea are hoping for a stable market – and they will get it. At least according to Jens Nærvig Pedersen, a senior analyst at Danske Bank who specialises in oil. "I am optimistic about oil prices in 2019," he says. That does not mean that he is counting on the prices soaring. Jens Nærvig Pedersen was more surprised when the price was recently set at USD 85 per barrel than he is now it is somewhat lower. But the situation seems reasonable. "In 2014, there was too much oil on the market but the US oil stocks have declined over the past couple of years. The trade war between the USA and China will probably end in an agreement and that will bring stability," he says. According to Jens Nærvig Pedersen, companies who have optimised and minimised costs will be in good stead though this is not a process that should end. For in 2020, we will begin glimpsing the end of the upswing. "We may already be seeing that in the USA, and it will come to Europe. This could influence revenue and oil prices so it is another motivational factor for cutting costs now," he says. Danske Bank's main scenario in the near future is an oil price in the region of USD 85. "In the long term, there are still basic trends that dictate demand. The global population is still growing and green energy alone cannot meet demand. The story of the oil market shows that time after time, Armageddon is predicted but it is robust and can no doubt exist alongside wind and other forms of energy," Jens Nærvig Pedersen says. - NorSea Denmark, formerly Danbor, was taken over by NorSea in 2014, Norway's leading supplier of base operations and logistics services for the offshore industry. - NorSea Denmark is headquartered in Esbjerg, where the company runs Denmark's largest supply base. - It has a good 200 employees in Denmark, 50 of them working with offshore oil/gas. - Danish shipping company established in Esbjerg in 1981. - Provides security and offshore support. - Its most important tasks are shipping and oil combating preparedness in and around the oil/gas fields as well as services for offshore wind farms.